Families gather each year at the St. Paul Step Up For Down Syndrome Walk to celebrate their loved ones with Down syndrome. 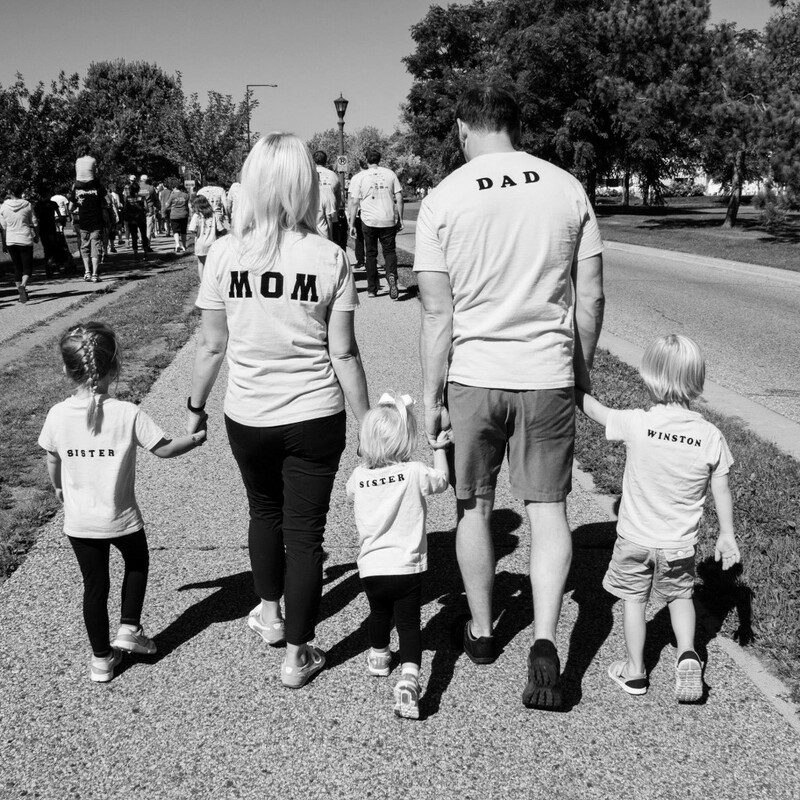 For Tiffany and Brandon Yerxa, co-team captains of Walkin’ With Winston, the walk was a turning point for them after their son Winston was born. A friend, who heard about Winston’s diagnosis, reached out to the Yerxa’s the night before the event and encouraged them to attend. It was one of the best decisions Brandon and Tiffany had made. Now in their 7th year for the walk, Brandon and Tiffany are veteran team captains. Last year, they were the top fundraising team for the St. Paul Step Up For Down Syndrome Walk, raising over $10,000 for the Down Syndrome Association of Minnesota. The team captain duo attributes their fundraising success to social media networking and employer matching gift programs. Additionally, Team Walkin’ With Winston saw great results last year from corporate match programs. In all, they raised $2,000 just through match donations. Wow! Tiffany and Brandon both work for companies who utilize corporate match, and they encouraged their co-workers who supported their team to participate in the program to double their donations. Tiffany shared with us one of the great motivators for their team fundraising last year was an incentive DSAM offered to team captains. The team who raised the most money would have their loved one with Down syndrome be the face of the next DSAM billboard. Having an incentive like this really struck home for Tiffany because of the message her son Winston could send to the community and it added extra value and motivation for their team to fundraise. For both Tiffany and Brandon, one of the best parts of team fundraising is the celebration on the day of the walk. Each year, they put up a team tent with balloons, donuts, coffee and snacks to create a welcoming environment for their team members. 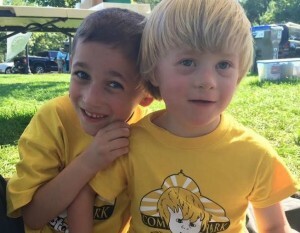 “It’s a great learning experience for our peers’ children and an opportunity for them to learn about people who are different than them.” Tiffany and Brandon especially like seeing Winston interact with friends/relatives he doesn’t see as often and enjoy seeing them proactively come into his world. This interaction is priceless to Tiffany and Brandon and what they look forward to most at the walk each year.